The Phillies 2017 season was not expected to be a competitive one, and thus far it’s followed the script – 14-21 doesn’t inspire the casual fan to do much more than shrug (and even that might be too much effort). That said, there were reasons to be excited before the season began – largely in the minors. J.P. Crawford. Jorge Alfaro. Dylan Cozens. These players went into the year with the goal of proving that they did not belong in AAA. They might have done that – just not in the way you’d want them to. Let’s break it down. Interestingly, their strengths and weaknesses seem to complement one another. J.P. Crawford has good walk and strikeout numbers, but absolutely no power to speak of (.461 OPS is among the league laggards). Dylan Cozens has plenty of power and a fine walk rate, but is striking out in a worrisome 35.9% of his plate appearances (high strikeouts in the minors is one of the biggest statistical red flags when it comes to future big league success). Jorge Alfaro’s surface numbers looks great (.859 OPS), but his unsustainably-high BABIP (.457) hides an abysmal walk rate (1.8%) and not-great strikeout rate (29.1%). The emergence of Altherr and continuing solid play of Hernandez and Herrera make the early struggles of the top prospects an easier pill to swallow, but all of this goes to prove that nothing is guaranteed in baseball. A rebuild is not a straight line. Game 31: Loss, 9-10. Aaron Altherr hit another 3-run homer but the Phillies pitching coughed up a 4 run lead on two occasions, leading to loss in this tightly contested slugfest. Carlos Ruiz returned and Philadelphia fans gave him what he deserved. Game 32: Loss, 6-11. Zach Eflin had, by some measures, his best start of the season with a season high 5 strike outs in 6 innings. His 2.81 ERA leads the staff, but I would suggest exercising caution in setting your expectations – we’ve seen this sort of pitching before from Eflin. For comparison’s sake – a look at this year’s stats, last year’s “hot streak”, and the subsequent “cold streak” from last year. This isn’t to overreact to last year’s 3 starts where he did poorly, but to keep in mind that it’s hard to have lasting success in this league without striking batters out. Game 33: Loss, 4-6. There are times when things go your way, and times when they really, really don’t. Nick Pivetta was cruising through 4 innings, but in the 5th, the wheels came off. Pivetta allowed 4 runs, including a 2-run round tripper by Trea Turner. That makes 5 home runs in his 3 starts, resulting in an ERA that begins with a 6. (It ends with a .14, but does that really make any difference in your opinion of the pitcher?) Unless he’s able to impress in his next start, his major league tenure will be put on hold when Aaron Nola makes his return. Game 34: Win, 4-3. A 3-Run 9th saved the Phillies from the brink of their 4th consecutive loss. Altherr hit yet ANOTHER home run. I’ve heard someone bring up “Domonic Brown” to pour water on the Altherr excitement, but even at his hottest, Brown wasn’t the hitter Altherr was. Chief among the differences – Altherr is able to work a walk, and has much better plate discipline. Altherr will cool off, but I don’t think he’ll jump out of the frying pan and into the freezer the way Brown did. Game 35: Loss, 5-6. Nats took the lead in the 3rd. Phillies took the lead in the 4th and proclaimed “quitsies”. Nats came back with an “anti-quitsies” and took the lead in the 5th. The Phillies, not to be deterred, said “anti-quitsies” and tied it in the top of the 6th before adding “quitsies, no anti-quitsies, no startsies”. The Nats wouldn’t respect the no startsies and took the lead back up in the bottom of the 6th, “stamped”. Not to be dissuaded, the Phillies broke out an “erasies”, took the lead in the top of the 8th, and triumphantly added “double stamped it, no erasies”. The Nationals glowered, and went to measures no man hopes they would go to. 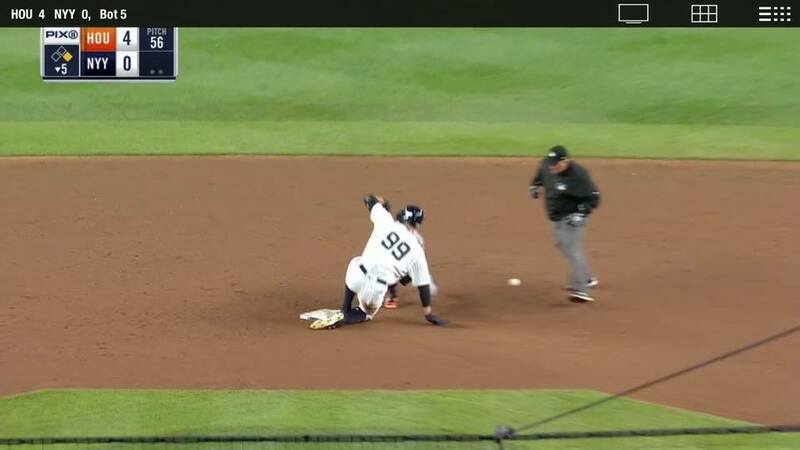 “Cannot”, they whispered, before taking the lead back in the bottom of the 8th, and delivering the fatal blow – “Triple stamped it, no erasies, touch blue make true”. The Phillies are currently protesting the results on the grounds of the Nationals’ illegal triple stamping of a double stamp. I’m a little short on time this week, and while there were some interesting events that happened around the league (18 and 17 inning marathons, Aaron Judge engulfing Jose Altuve), I can’t give these interesting asides the write up they deserve. So instead, enjoy this series of tweets that is undoubtedly “peak baseball”. 14-21 isn’t a place any team would like to be. After an 11-9 start, the Phillies have managed to win only 3 of their last 15 games. The silver lining: 9 of the 12 losses have been by 2 runs or fewer. You can’t get back the games you’ve lost, but with so many of the losses being as close as they are, it’s hard to believe they will continue to lose at the pace they currently are. Up next for the Phillies are the Rangers (who are currently Hamels-less as he has an oblique strain). Aaron Nola is set to return soon. Things can’t get much worse than they’ve been. Let’s look forward to better days.